What will a mother sacrifice to have it all? Meet Silicon Valley executive Tessa Callahan, a woman passionate about the power of technology to transform women's lives. Her company's latest invention, the Seahorse Solution, includes a breakthrough procedure that safely accelerates human pregnancy from nine months to nine weeks, along with other major upgrades to a woman's experience of early maternity. The inaugural human trial of Seahorse will change the future of motherhood--and it's Tessa's job to monitor the first volunteer mothers-to-be. She'll be their advocate and confidante. She'll allay their doubts and soothe their anxieties. But when Tessa discovers disturbing truths behind the transformative technology she's championed, her own fear begins to rock her faith in the Seahorse Solution. With each new secret Tessa uncovers, she realizes that the endgame is too inconceivable to imagine. 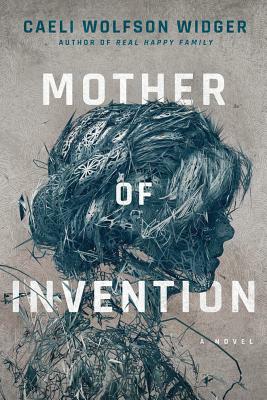 Caeli Wolfson Widger's bold and timely novel examines the fraught sacrifices that women make to succeed in both career and family against a backdrop of technological innovation. It's a story of friendship, risk, betrayal, and redemption--and an unnerving interrogation of a future in which women can engineer their lives as never before.